For some luxury homebuyers, a home gym is a must-have amenity but tennis aficionados are looking for the perfect home that seamlessly blends indoor and outdoor fitness into one amenity — a tennis court. In honor of the Miami Open, one of the world’s premier tennis events returning to the Magic City until March 31, we’ve rounded up the luxury estates where homebuyers can hone their tennis skills. The best part? Some of the world’s best tennis players live in these Haute spots. Home to Caroline Wozniacki, Palazzo Del Sol and sister property, Palazzo Della Luna are situated in the country’s most expensive zip code — Fisher Island. Resident’s of the island’s newest luxury buildings are able to arrange private lessons with tennis pros and are mere steps away from the Pro Shop — a one-stop-shop for state-of-the-art tennis equipment. Other notable tennis pros who call the island home including Boris Becker. 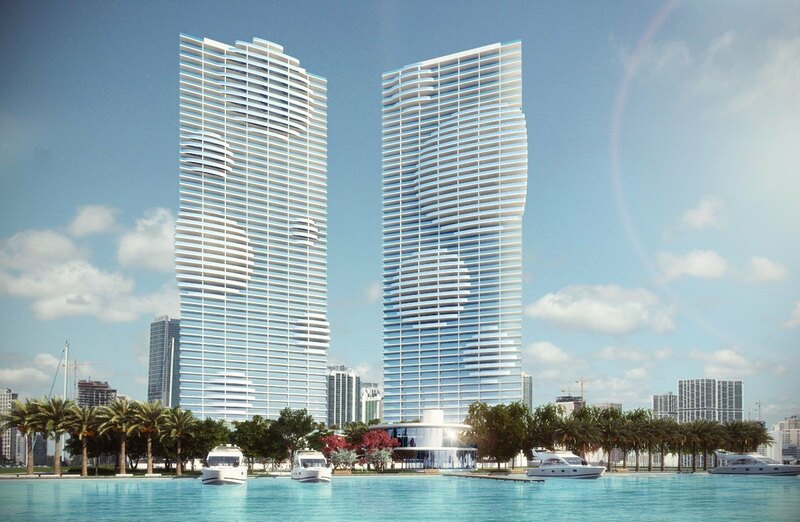 The Paraiso District is Miami’s newest vertical living project with ultra-luxurious amenities fit for every occasion. For those looking to hone their tennis skill, the sky home will offer six courts that are tennis-pro approved by some of the greats. Tennis legend Arantxa Sanchez Vicario and No. 6 Gael Monfils have purchased homes in the new project. From the visionary mastermind development firm, Related Group, comes Hyde Beach House — an oceanfront vertical residence situated in the heart of Hollywood, Florida. The stunning property will offer a sky-high tennis court for tennis aficionados to play under the Miami sun with breathtaking views of the Atlantic Ocean.